EXCLUSIVE! Fine art masterpiece to slip on your wrist. 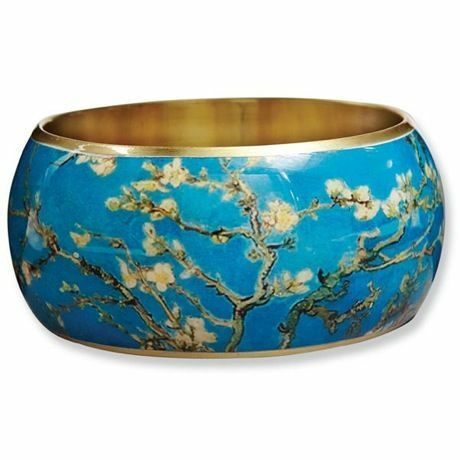 Van Gogh's "Almond Blossoms," richly lacquered on brass. Each is 1 1/2" wide, standard size (about 2 1/2" inside diameter). Made in India.